For more information visit the Waste & Recycling web pages. For full details of the Community Council and meetings etc, follow this link. For details of Councillors, follow this link. For life-threatening emergencies phone 999. For all other incidents phone 101. Keith Stockdale (Head of daily volunteer team). 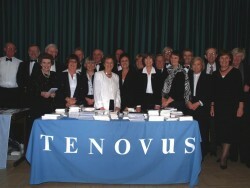 For more about the R&M Friends of Tenovus, click here. Sadly, this scheme closed in March 2014 due to withdrawal of funding from Cardiff Council. 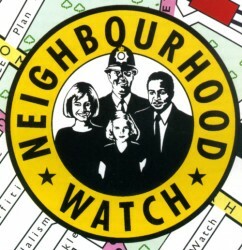 Neighbourhood Watch is one of the most successful crime prevention initiatives and depends on residents being aware and able to communicate information to the police authorities. There are over a 100 members of R&M NW who are linked by email address. From time to time police alerts are sent to members in order to make their neighbours aware of risks, security advice and information regarding criminal activity in the area. Each member is encouraged to keep their immediate neighbours informed of alerts and advice. The police in the past used a telephone system called RingMaster, which has largely become less reliable and replaced with email alerts. If you have concerns or information which you consider should be passed on to the police this can be done by contacting our local officers PC Sam Willis 07584 883599 or PCSO Laura Moore 07584 004725. If you require more immediate attention ring 029 2022 2111 or in an emergency 999. For general nuisance incidents you can ring 101 for assistance from the police or local authority. 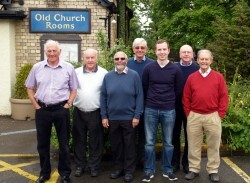 Meetings are held in the Old Church Rooms bi-monthly with the local police, our County Councillor and invited representatives of other organisations. Issues are raised regarding policing matters and concerns to residents. These cover – criminal activity, speeding through the village, parking problems, anti-social behaviour and the police cover in Radyr and Morganstown. Our local officers are PC Sam Willis, PCSO Laura Moore, PCSO Hywel Arkontopoulos 07584770843 If you need to report an incident telephone Fairwater Police on 029 2022 2111 or in an emergency 999. Click here for more information about PACT dates of future meetings and the minutes of previous meetings. Tel: 029 2022 2111 – Fairwater Police Station. 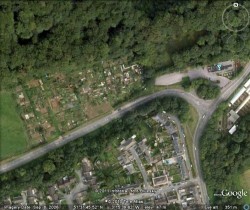 These allotments are off Ffordd Treforgan in Morganstown, just above the Tynant Inn. 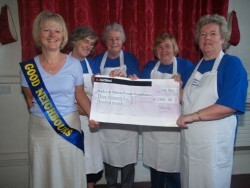 The Association involves all organisations and individual members of the community. Everyone who resides in Radyr and Morganstown is currently a member and there is no joining or annual fee. Everyone is encouraged to support and take part in the various events and activities, especially during the May Festival week. Residents who would like to be Committee members/volunteers are especially welcome. For more information go to the R & M Association page of this site. Radyr Chain is a community newspaper which is delivered free six times per year to every household in Radyr and Morganstown. 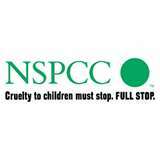 It is self-financed, supported through advertisements and donations. 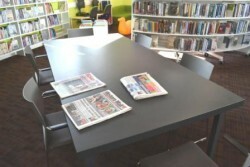 Essays, reports, photographs and reminiscences are welcomed by the Editor. 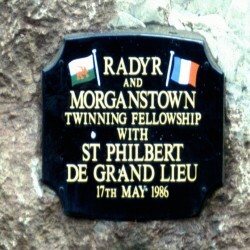 The Radyr Chain is delivered to all residents of Radyr and Morganstown. It is a free newspaper compiled and distributed by a group of volunteers, and concerns itself with matters of local interest. It is published every two months and contributions should reach the editors by the 15th of every odd dated month, i.e. January, March, May, July, Sept, and November. We are always keen to include articles from local associations and clubs, and any contribution is most welcome, whether from clubs or individuals. We are introducing a small column for quick sale of small items on a one off basis, also a Lost and Found column. You can read back numbers of the Radyr Chain by clicking this link. The Association aims to help safeguard and promote the interests of residents living on the Sidings development on matters such as housing and the environment, and to help improve community facilities and services for residents by engaging constructively with the various organisations involved. This web site is run and managed by an independent team of volunteers with the technical support of Dark Green Media, who have created this new site. If you’ve attended an event in Wales you’re sure to have seen our members at work. From rugby matches, to motocross events, to village fetes, we provide First Aid for the people who need it. Volunteer with St John Cymru-Wales and you could help sava a life. By giving your time, together we can achieve our goal of providing a first aider on every street and ensure more people have the right knowledge to act in an emergency. Volunteering is a great way of trying something new and bringing your skills and experience to an organisation in need. We don’t just offer opportunities for members of the public to undertake first aid training and assist at events, we have a variety of roles, from a HR officer to a youth leader. Whether you are retired, on sabbatical, or can only spare a few hours between work, any support is appreciated. If you’re interested in helping people and learning basic first aid skills, meeting new people or helping your community (and having some fun along the way! 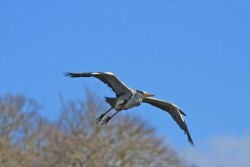 ), then come and volunteer with St John. To register your interest or join us, go to https://sjaw.org.uk/register. For more information or if you have an event and are looking for first aid cover, please contact Aled Treharne (aled.treharne@radyr.sjaw.org.uk) or call 01633 533103.